Another week, another Fiero...But wait, this is not your ordinary Fiero! This one has a lot going for it: 88 suspension redesign, 32v Northstar V8 engine swap and it is a real Mera conversion which was actually sold through Pontiac dealers. With the escalating prices of 308 Ferrari's this 300hp Mera presents a valid counterpoint for those with more modest means. In terms of body kitted Fiero's, the Mera is at the top of the food chain. 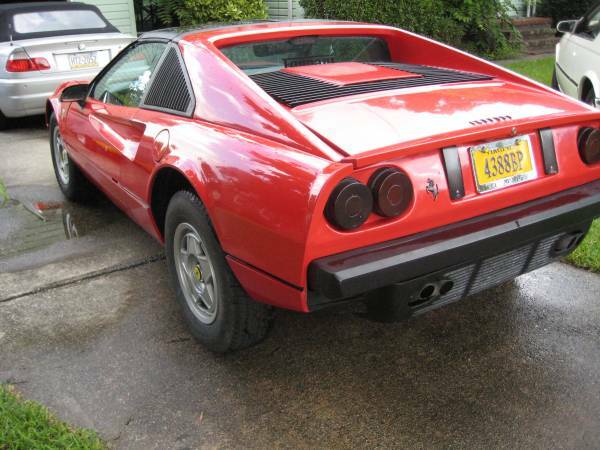 Find this 1988 Pontiac Fiero for sale in Virginia Beach, VA for $13,840 via craigslist. Tip from Fuel Truck. ..Real, live, low mileage 1988 Pontiac MERA Spyder (with T-Tops), NorthStar 300 hp V8 automatic, rare power steering, power windows, A/C, leather seats, slotted and drilled rotors, wool carpets upgrade, Dakota Digital instrumentation, upgraded radio, new tires . Although the seats in the foto look light gray, they're the same color as the updated dash...dark gray. 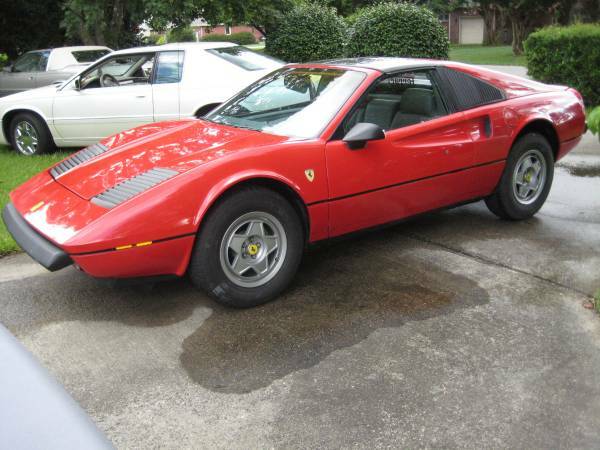 VERY FAST(more than twice the horsepower and torque of the original engine)...If you're unfamiliar with MERA, google it and see what a limited production vehicle it was...Ferrari sued the company and forced the end of production after just 247 were built. These rare cars are now bringing upwards of $16/20,000 and collector's in the know are showing interest and prices have skyrocketed in the last couple of years. This is one of the rarest of the rare....only the 1988 models were built with the up-graded and very desirable Lotus-type multilink suspension, with the original Cromodora wheels custom made in Italy specifically for Meras.... needs only a bit of TLC. I bought it nearly three years ago, and put it in storage 'til I had the time to completely restore... but plans change; now I'm moving to L.A. and emptying my toy box: selling my collection. Stunning 1934 Mercedes 380 Spezial Roadster LH (replica), flawless 1999 Ferrari f355 replica, two 2001 Eldorados (one is a Biarritz), 2006 Maserati Spyder, 2005 BMW M3 convertible (37,000 miles) '82 Porsche Super Carrera, and a Columbia S&S MarkII 29' sailboat... everything must go. The auto shifter looks like someone through a pep boys knob on a mop handle. 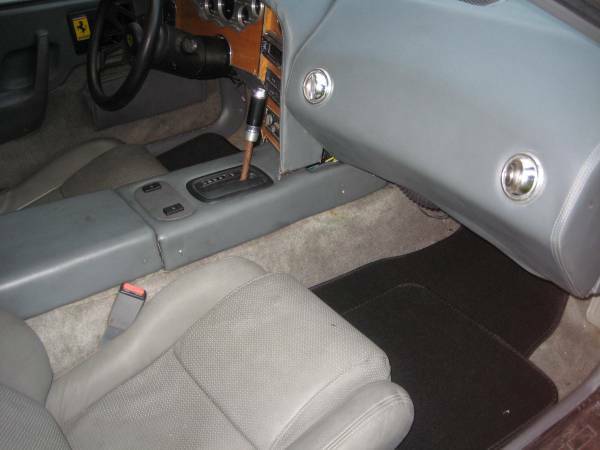 There has to be a classier option than that shifter. A dozen dolphins were killed with all that grey everywhere in the interior. I can't help but thinking the dash would look a hundred times better if it were black and the wood looked less like plywood. Just like the other recent Northstar Fiero, this one has the auto trans which does dampen the fun a bit. Hmmm.... reverse lights (on both sides of license plate) are not stock Mera (see photo). Previous owner might just have put black lenses over the stock ones, though. Real MERAs have an identification sticker (paper). Really surprised owner didn't show this in photos. The odometer is what gives me pause... average 833 miles a year? PS Love that broom handle-light saber shifter. In the 2nd photo the rear wheel looks cambered in - like the opposite of 'stanced'. It also looks like it's sitting too high in preparation for a flood.